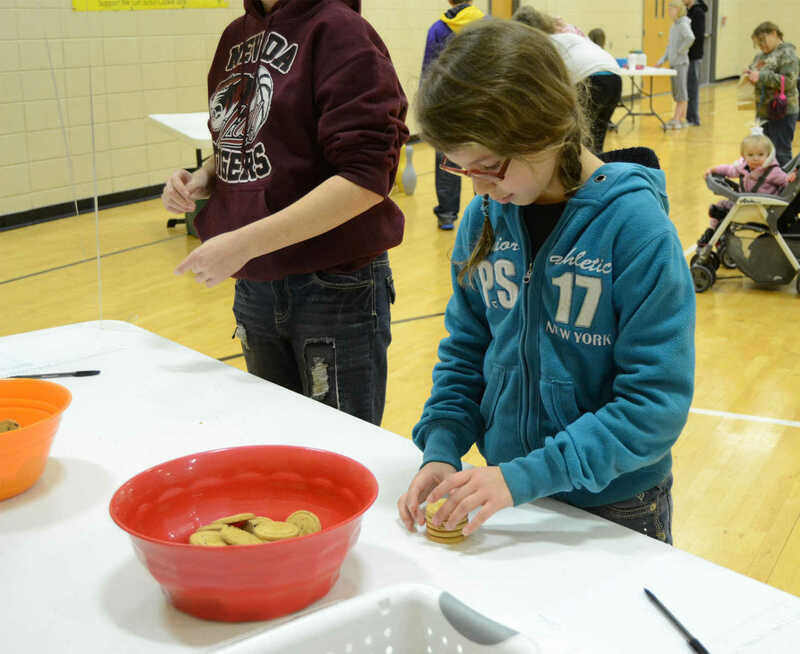 Feby Jenkins builds a tower out of cookies during the Girl Scouts carnival at the Community Center on Friday. 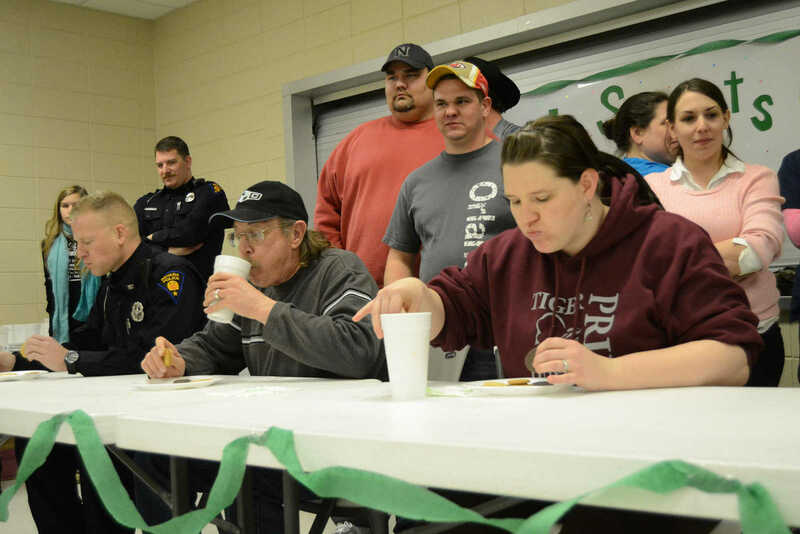 From left, a teammember from Guns and Hoses, Girl Scouts Dads and Loudmouth Leaders munch down cookies as fast as they can during the Girl Scout Crunch-off on Friday. 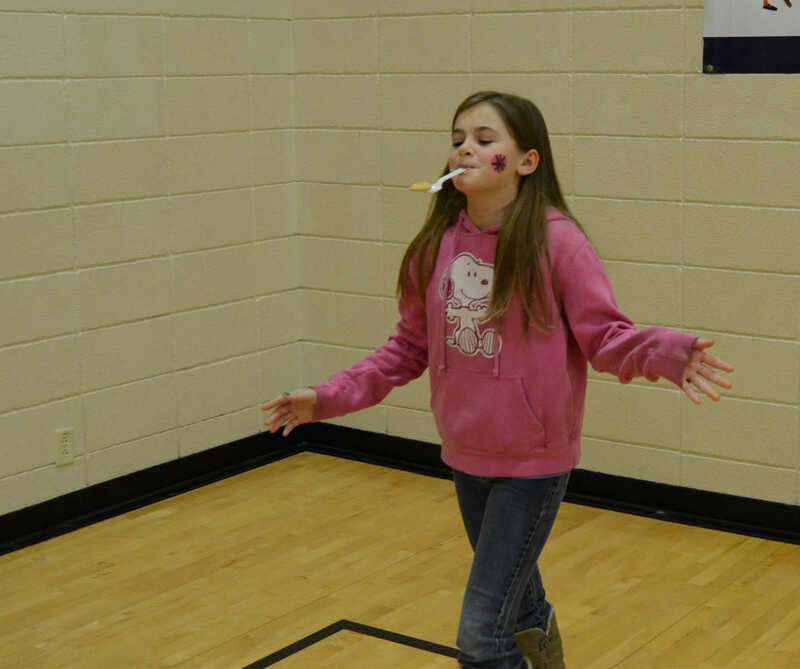 Victoria Peery carries a cookie with a spoon during the Girl Scouts carnival at the Community Center on Friday. 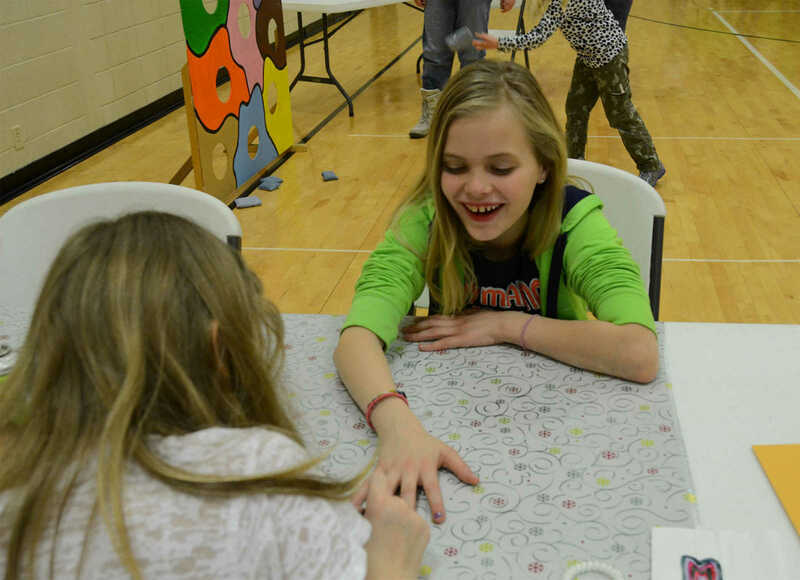 Victoree Beisley gets her fingernails painted during the Girl Scouts carnival at the Community Center on Friday. From left, a teammember from Guns and Hoses, Girl Scouts Dads, Loudmouth Leaders and Walmart Cookie Monsters munch down cookies as fast as they can during the Girl Scout Crunch-off on Friday.